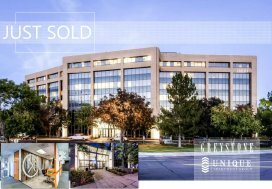 Denver, CO (August 29, 2018) — Unique Properties, Inc. / TCN Worldwide, Colorado’s most experienced, privately held, full-service commercial real estate brokerage firm, is proud to announce the sale of 2575 South Broadway; Denver, CO 80219. This retail investment was acquired for $895,000.00. 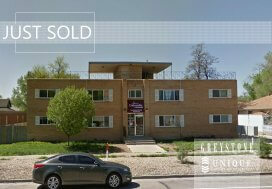 Executive Vice Presidents, Sam Leger and Tim Finholm and Broker Associate, Kyle VanCamp, all with Unique Properties, Inc. / TCN Worldwide, represented both the Buyer, 495 W Cedar LLC, and the Seller, Wallis Property Broadway Building LLC in this transaction. The 4,975 square foot building was built in 1981 and recently renovated with newer plumbing, electrical, and flooring in 2011. The property is situated in a great location near a high-energy and vibrant neighborhood with great restaurants and nightlife. 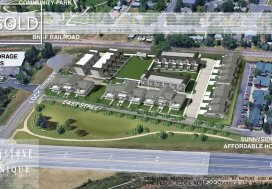 Easy access to Santa Fe Drive and excellent access to multiple RTD stations including the Englewood and Evans Stations. Great potential for a re-development site.